Speed Graphic has been trading as a mail order business since 1994. Unlike most online photo retailers, who concentrate on selling cameras and frequently offer a rather haphazard selection of accessories, we work the other way around. 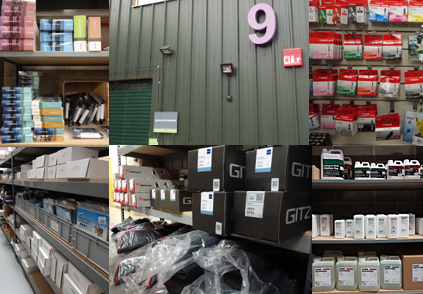 We also have a real warehouse with plenty of immediately available stock, and well-informed staff to help you make your purchase by website, phone or over-the-counter. Our offices are six miles south-east of Alton, a few minutes drive from the A3, in a pleasant rural location close to the Chocolate Frog tearooms. As a serious enthusiast or professional photographer, we assume that you already have a camera and therefore will be (hopefully) excited by the mouthwatering array of other products we offer to further expand and improve your photography. And, unlike other internet retailers, when our website says "in stock" it actually means that, so if you need something tomorrow, 99 times out of 100 that's no problem! Anything not stocked is usually with us within 4-7 days, sometimes sooner, and if it's unavailable we'll let you know straight away. Our retail policy is simple: source the best quality and best value products, sell them at competitive prices, and deliver them to our customers promptly. If a product we feature proves to be unreliable or unacceptable in some way, we will withdraw it from sale. We, like you, want everything we send to be perfect ‘out of the box’. If things go wrong, as sometimes they will, we will sort your problem out as quickly as possible, with the same courtesy and attention as we would give you on enquiry or purchase. 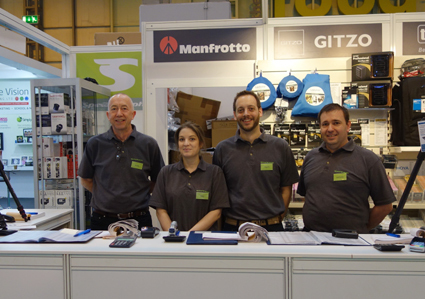 You can also meet us at The Photography Show at the Birmingham NEC each year. We are always pleased to talk to our customers, either face-to-face, over the phone, by email or via Twitter and Facebook.